I took a drive to visit Stag Valley Farm today in Southland, the birthplace of Te Mana Lamb. A couple of turns off the highway near Lumsden (side trip to the Buzz Cafe for their excellent Cheese Rolls aka Southland Sushi!) and a gravel road takes you over a range of low hills and into a hidden valley of pristine green and tussock-topped mountains. Te Mana have spent 10 years working on a breeding program to get the best flavour and fat profile from high-country raised lamb, the aim being to get Wagyu-style marbling through the meat. The result is a new breed with an exceptionally tender, juicy and tasty meat, featuring all the robust flavour from grazing on alpine grasses and herbs in tough tussocky conditions, combined with the natural self-basting properties of intra-muscular fat, which is helped along by a finishing period on chicory pasture. 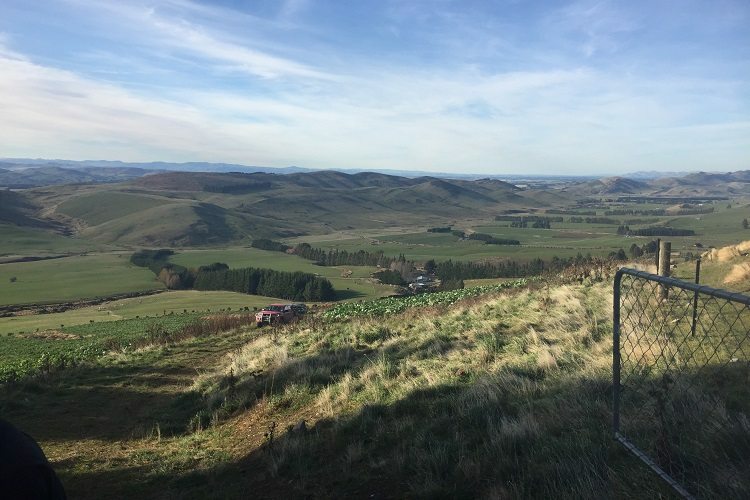 It was great to see one of the select Te Mana breeding farms, which feature both unspoiled high country grazing and lowland chicory meadows for finishing (feature photo). One of their other farms is Walter Peak Station, right across the lake from Queenstown and making up a big part of our spectacular view from the hotel! Not available in any shops, you can try Te Mana Lamb on our Two Breeds Tasting Board, featuring smoked & slow-cooked shoulders of both Te Mana Lamb and my other favourite NZ lamb (also local), Cardrona Merino, so you can taste the difference between two unique breeds both raised in our region’s flawless high country conditions. Join us at The Grille to share the story.